Fighting a losing battle with your hair? Is frizziness getting you down? Can't seem to grow it to the length you want? 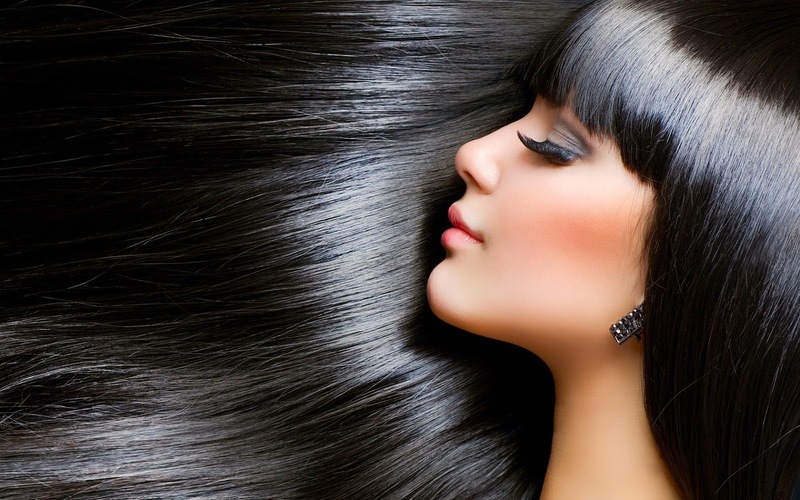 Check out these 20 tips that will help to give you the luscious locks you crave! 1 A well-balanced diet is the best way to keep your hair healthy and strong. Eat plenty of fruit and vegetables, nuts, brown rice, beans and pulses, and you’ll have tresses in top condition in no time. 2 Use the right shampoo and conditioner for your hair type. Pick a combo for fine, greasy, dry or coloured hair, and stick to it! There’s a specialist product made to care especially for you. 3 The sun, even during winter, has drying effects on your hair and can fade colour. Use products that contain sunscreens and cover up in direct sunlight during the summer. 4 Massaging your scalp for a few minutes each day will stimulate circulation and remove dead skin cells, helping to prevent dandruff. 5 If you have oily hair, rinse it with diluted, fresh lemon juice or cider vinegar for superb shine, and to eradicate those greasy roots. 6 Shoulder-length hair is, on average, about two years old, so treat it like a piece of fine, old lace. Avoid unnecessary brushing, combing or handling – use soft bristles that flex in the brush. 7 Pay careful attention to how you wash your tresses: rub shampoo into the palms of your hands and distribute evenly, lather and repeat with half as much shampoo. Rinse and apply a matching conditioner mainly to the ends and mid-lengths. 8 If you lead a busy life and don’t have time to cook, supplement your diet with the hair-building vitamins B6, B12, evening primrose oil, folic acid and a good multivitamin. 9 Help your hair to reach its growth potential by eating well and getting lots of sleep. 10 Stress and negative emotions can play a part in hair loss, flaky scalp conditions and excess sebum (oil) production. Find time to relax and de-stress for healthy locks. 11 Wash your locks with warm water. Hot water stimulates sebum production in the scalp and can lead to greasiness. 12 Have regular trims. Any stylist will recommend you visit the salon every six to eight weeks to zap split ends and encourage the hair to feel healthier. 13 Moving between cold and warm environments during the winter is very stressful for your tresses. Replace lost moisture with a weekly deep conditioner for improved shine. 14 Reduce the impact of heat styling with a good protector spray or balm. Choose a non-greasy product that won’t weigh your hair down. 15 Boost your colour, natural or dyed, with a specialist shampoo and conditioner, followed by a colour shot or leave-in colour protector. 16 If you’re keen on swimming or the gym, you may need to wash every day. Use a gentle, moisturising shampoo and light conditioner to prevent over-cleaning. 17 Deep cleanse your tresses weekly to remove any product build-up and revitalise your colour. 18 Eliminate smoking, caffeine and fizzy drinks from your life – it will make your hair grow stronger and longer. 19 Seal the cuticle of your strands and boost shine with a blast of cool water after finishing your cleansing regime. 20 If you live in a hard water area, don’t over-lather a ‘dying’ shampoo. Instead, wash it out immediately and re-lather with more.